Saif Ali Khan and Kareena Kapoor Khan are currently in London enjoying their family time with their little munchkin Taimur Ali Khan. During a recent chat with DNA, Saif revealed many cute details about Taimur. When he was asked that his youngest son, Taimur, is the apple of everyone's eye, he said that he has a "happening social life" and that he a very busy young man. Said Saif, "I think the whole country loves Taimur (smiles). He's a great energy to have around you. He has quite a happening social life, too. Right now, he is not even home, he's gone for his evening time out with friends! He's very busy (laughs)." When asked if he gets to spend more time with Taimur as compared to his other kids Sara Ali Khan and Ibrahim Ali Khan when they were growing up? Saif shared, "Actually, when Sara was born, I had a pretty phenomenal career low, so I had lots of time and I was around her quite a lot. I didn't even miss work or crib about not having it, because all that time was spent with her. With Taimur, yes, we balance it out and I try to make sure we spend some time with each other regularly. I tried to do that with both my other kids as well." "For example, Taimur wakes up at 7.30 am, I am up by 9 am. He comes, takes the torch by my bed and puts it in his mouth like the doctor. He keeps doing things like that. He likes to see the moon, which is nice. He watches it before he goes to sleep every day. He loves nature and is quite outdoorsy. He imitates us doing yoga by making some painful noises which obviously, I'm making while I'm stretching. He does a good side bend and falls over." 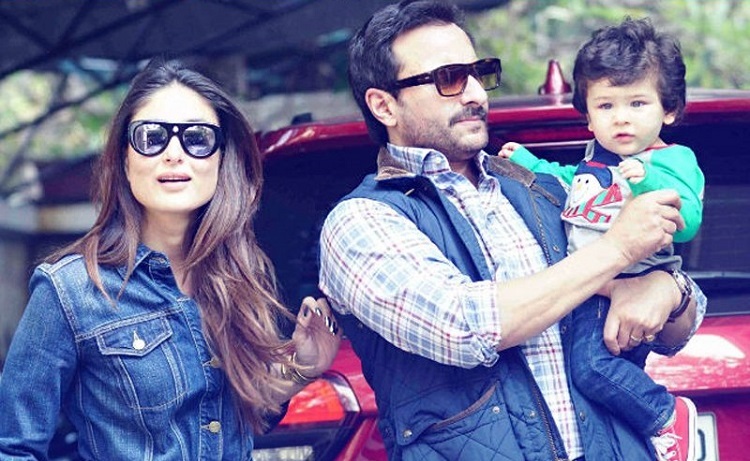 The paparazzi follows Taimur everywhere he goes, so when asked him if he is concerned about it, Saif said: "I don't have a problem with the photographers because they are just clicking his pictures. Although it's a bit intrusive, no movie star has a privilege of being extremely private. You might be looking at the Taj Mahal and people will start clicking your pictures. You try to be normal and then everyone takes your picture. That's mildly bothersome. But I just think he has to get used to that, because, in the end, they are just clicking a few photographs."